Great news! “Rathbone Estate” will be hosting our next wine tasting evening, showcasing six exceptional wines alongside a delicious five course seasonal menu. Rathbone’s Ryan Morgan and our old friend, Joe Wadhams from Enotria Wines will be explaining why Australia is back at the cutting edge of Viticulture, tasting wines from Yering Station, Mount Langhi Ghiran and Xanadu. And for the main course… Australian heavyweights from the Rathbone stable will be going to head as Ryan pitches two big hitting Shiraz’s against each other with the all important bragging rights up for grabs! Canapés, 4 course dinner & all tasting wines £60 per head. Always a sell-out! Booking essential. 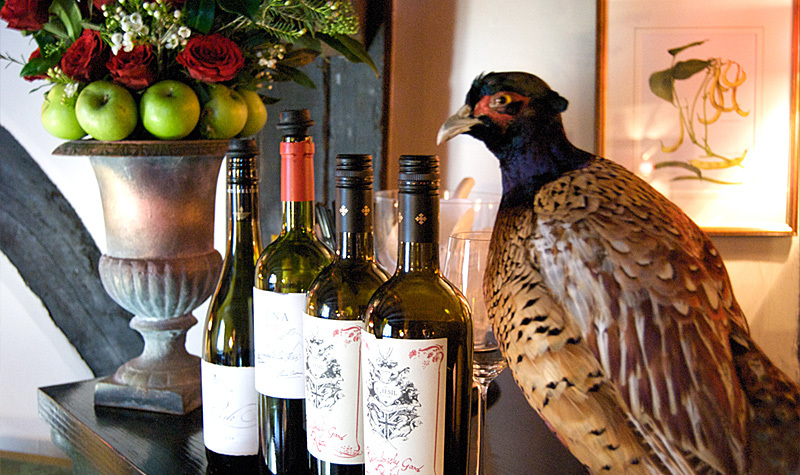 An intimate & convivial night & a great way to improve your wine credentials!